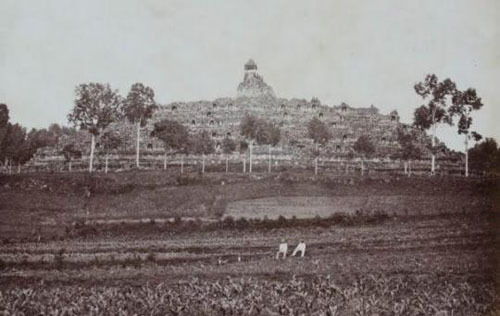 bile bace psal "Singapore Stone" dalam "Disini ada Badang".. ingatkan coincidence..
ini adalah gambar Borobudur yg biasa kita nampak, even.... semua refererence tentang Borrubudur menggambarkan ini ADALAH borobudur yg 'asal'..
Iyee.. puncaknye masih kelihatan... dan dipecayai.. didalam stupa itu juga, 'masih'' terdapat patung emas... or anything yg 'penting' SEBELUM dilapurkan kosong...; iaitu, sebelum Belanda datang semula ke Indonesia..
Kedua2 'penemuan' ini dibuat oleh Stamford Raffles... AND... kedua2 monument yg 'hilang' ini di 'hilang' selepas Raffles mati.. 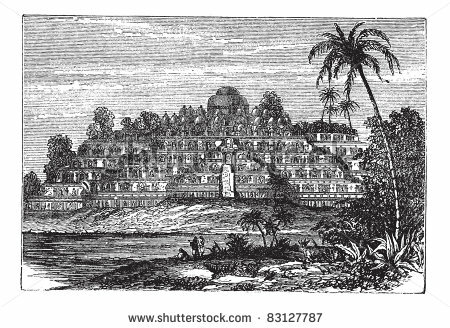 The most puzzling question ialah - kenapa Stamford Raffles menghantar HCC Cornelius, seorang Belanda.. dan juga musuh ketat British utk explore Borobudur secara rahsia dari 1811 - 1814?????? 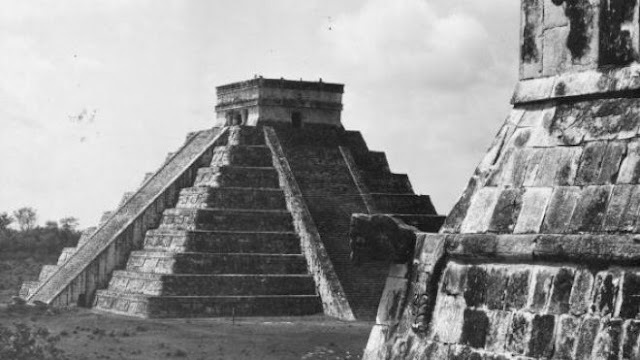 Every single ancient monument, from Giza Pyramids, Mayan Temples etc = the main tip of the structure was MISSING... what left is just an empty room..
Who perpetrated this nasty jokes by hiding all those relics from around the world and hide it?????? dan jangan lupe.. sila off kan henpon anda. Olaf Winstedt ade satu sifat buruk. Bila dia ditugaskan ke negeri2 FMS... dia tak buat keje... instead, dia selongkar istana2 Melayu and study psal manuscript2 lama..
DISCLAMINER : Misterr Mo Razzi accepts no liability for the content of this page, or for the consequences of any disturbance or any other type of mental illness, earthly or celestials, taken on the basis of the information provided, unless that information is subsequently confirmed in writing. If you are not the intended recipient you are notified that disclosing, copying, distributing or taking any action in reliance on the contents of this information is strictly prohibited and at your own risks of being cursed. 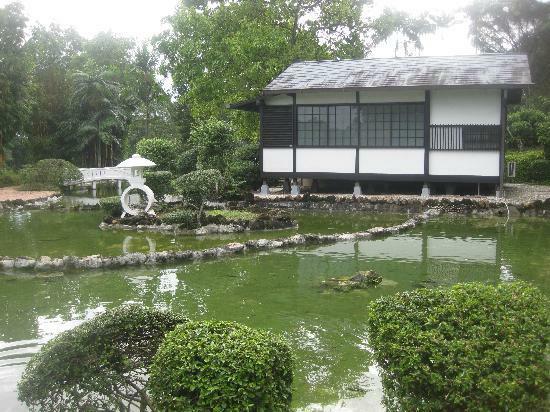 Frequent visitors to Taman Bunga Istana Besar Johor, this is just a small Japanese house in the foot of Bukit Bintang hill near Istana with beautiful garden. People enjoying the view, taking few pictures then go home. 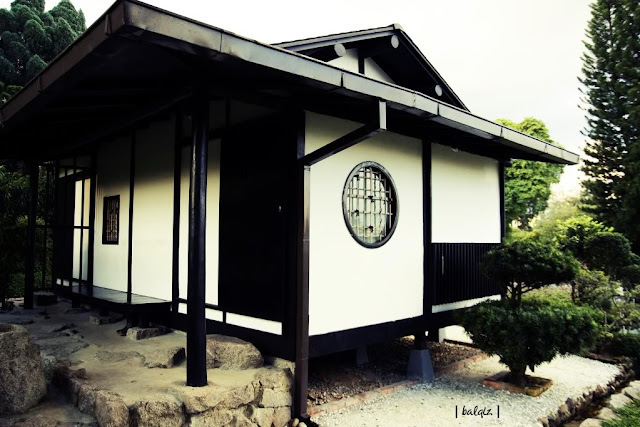 But for people who live longer than 150 years, this Japanese house was really meant something which was hidden in history for many many years. It not just a house.. it's a Japanese soil itself. Everything from nails, woods, roofs, plants, flowers, fishes etc. etc. was TRANSPORTED in one piece from Japan during HH Abu Bakar visits in 1883, presented by HH Emperor of Japan itself inside . 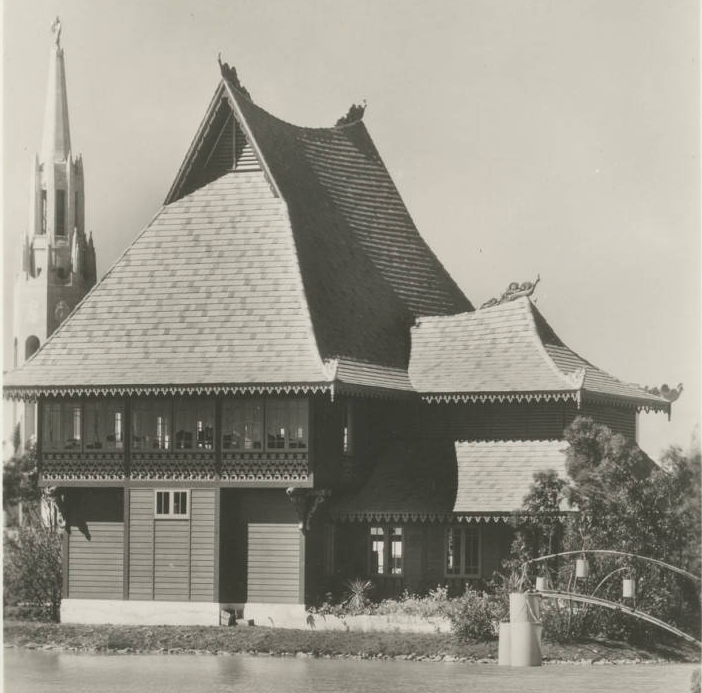 However, it was recorded that the house was presented by Crown Prince of Japan to HH Ibrahim in 1934 ONLY. However, his old monogram was predates 1934, probably sometimes in 1920's in its original form. And.. stories related to this that HH Abu Bakar was married a Japanese girl presented by HH Emperor of Japan, in Untold History : Maria Ozawa and Sultan Johore which later happened to resided in Istana Besar until 1895. 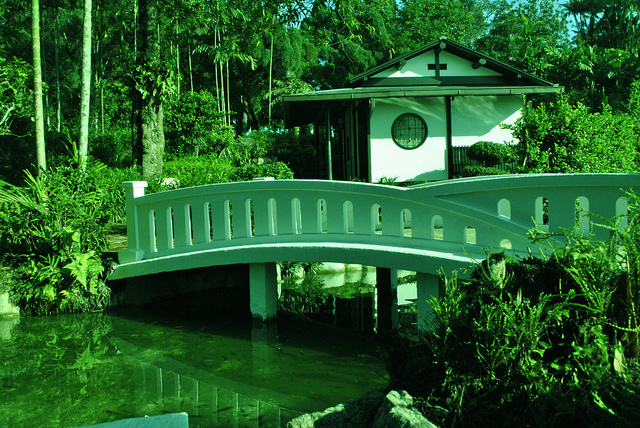 This garden was reflection or his love for Japan. Ugly and no historical value. 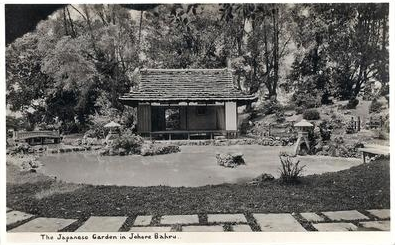 This house was later become a favorite meeting place between HH Ibrahim and Marquis Tokugawa whenever he visited Istana Besar before 1942. It was later used by General Yamashita for his resting place and General ( I really forgot his name .. Yoshi something) which was convicted of war crime after WW2 and banished to Johore. Imagine this.. you are living somewhere in Johor Bahru in 1860's. The only transport available to cross over to Singapore is using Sampan... or swim thru crocodile infested straits. 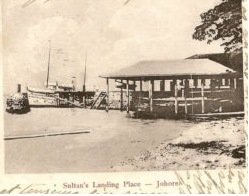 Prior to 1920's, there were several jetty or landing place stretch along the Tebrau Coast. 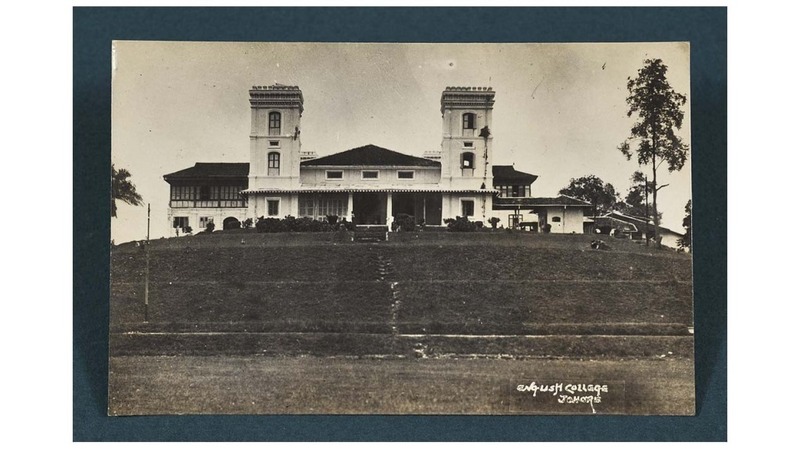 The infamous one is the "Pengkalan Dewan".. used for Royal Johore. 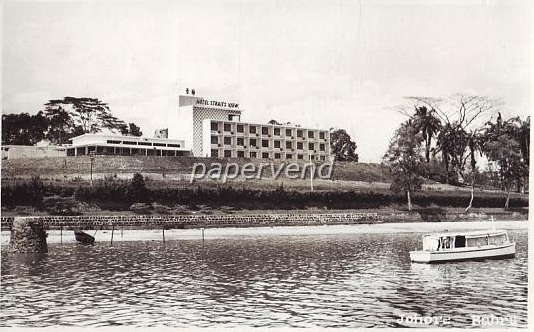 It was situated right across "Dewan" in Istana Besar, loooong before they done major reclamation along the Lido, the stair was leading straight to Pengkalan. There was no road cut across Pengkalan and tangga istana until 1890's. Now you know the real function of 'broad stairways' in Istana Besar.. meant to be for visitors departure from the sea. WTF?? 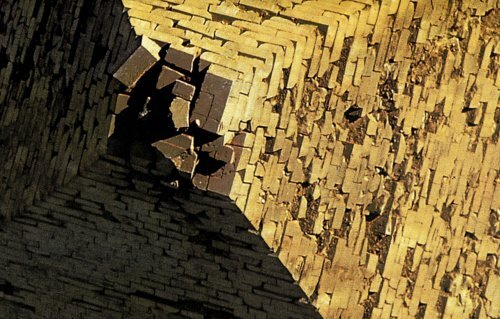 They should look on these angle before they built the Waterfront City. 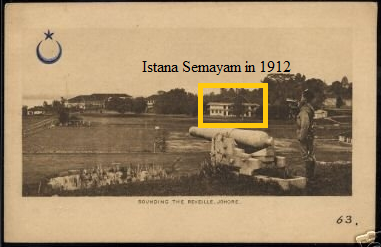 It was reported that... there was another Istana at Istana Besar compound call "Istana Semayam". Stone masonry, red clay roof, probably the same materials used during the construction of Istana Besar and Balai Cengkeh. This is where the formidable Sultan Iskandar was borned. 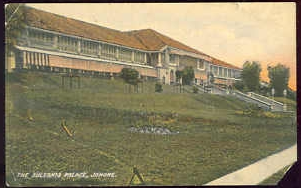 Prior to that, this Istana was the residence of HH Ibrahim until 1895.
in 1914 to 1942, the Istana was used as residence of British Governor General. It later reported that the Istana was heavily damaged by the retreating British army during WWII. Now.. there were some plausible clue there... British army would not bomb their own Governor General residence.. isn't it?? 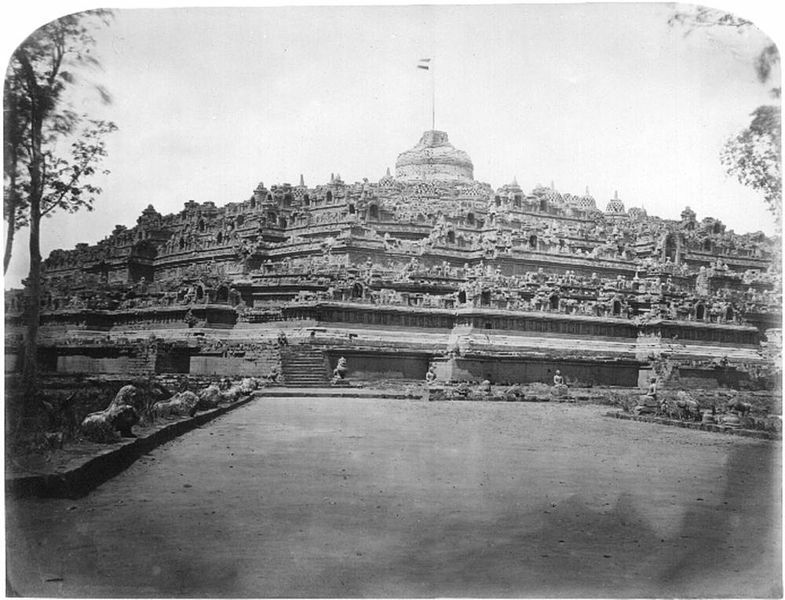 These Istana was razed to the ground, except strange "L" shape stairs that now stood in the middle of the field. If you look back at behind the pages, you would found that the mirror image of this Istana was been built in San Francisco in 1934.. Similar in design, would it the same blueprint??? that for you to find out. For many years, I"ve mistakenly identify "Istana Menara Empat" is the lost "Istana Kuala Danga"
It has came to light that, not long ago, someone from IDR, a Director and an Architect.. (they would smiling if they read this) informed me that they had ventured into uncharted territories in Tebing Runtuh and found the remnants of "Istana Kuala Danga".. which shattered porcelain roofs can be found scattered around that area.. and was imported from France which was etched in each of the roof ; similar to the materials used during the construction Tyersall Palace in Singapore in 1890.. using red tiles. Thus, "Istana Kuala Danga" would predates "Istana Menara Empat". 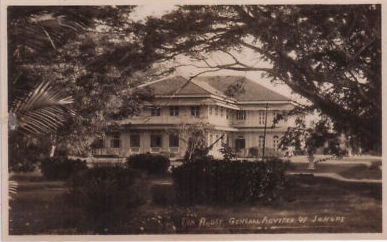 The building was later used as the State Treasury Department before Bangunan Ibrahim was built in 1942. 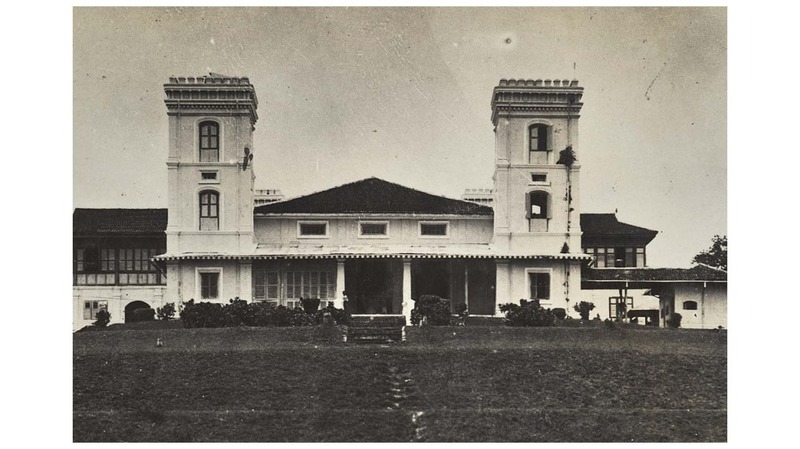 This "Istana Menara Empat" was build by HH Abu Bakar, in... 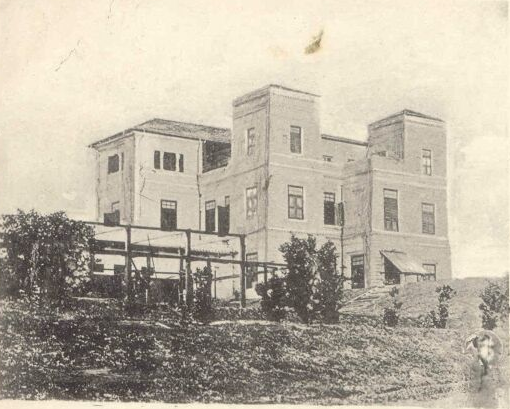 I really don't know when,.. and then inherited by his youngest son.... whose, due to unknown reason, was later demolished the building and turn it to Hotel. Now.... you may trace the location, feels the air and sleep in this Istana Menara Empat by check in into Straits View Hotel. Happy Holiday!!! !